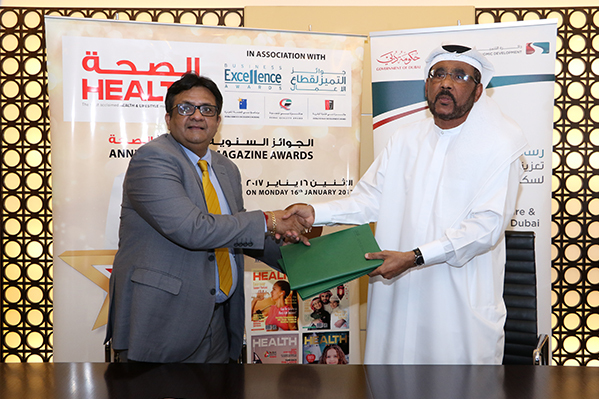 The Department of Economic Development (DED) in Dubai has signed a memorandum of understanding (MoU) with the UAE-based Health magazine to support and promote the ‘Annual Health Awards,’ the first edition of which will be held in Dubai in January 2017. 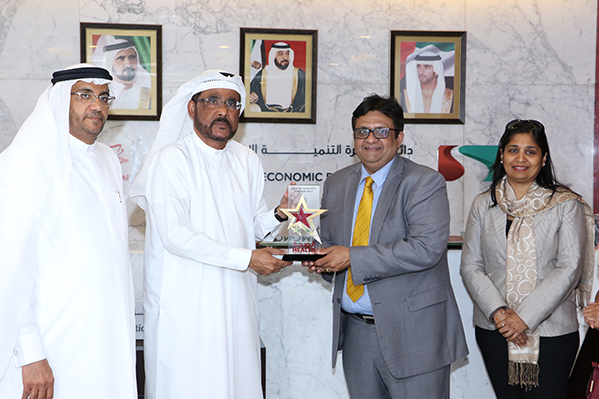 DED is extending its support to the awards as part of its strategic goal of reinforcing the position of Dubai as a diverse service hub and promoting service quality and excellence. The two sides will work together on the administrative as well as managerial aspects of the awards and to ensure optimum participation of UAE healthcare providers and professionals in the initiative. One of the most popular health & lifestyle magazines in the region, Health is published by the Gulf Medical University (GMU) – Ajman. “We will work hand-in-hand to promote the Annual Health Awards, which aims to appreciate outstanding contributions in the fields of healthcare from across the region, and communicate significant achievements in this sector,” Mr. Ali Ibrahim, Deputy Director General of DED said after signing the MoU. “Promoting new initiatives and innovations in the healthcare sector is part of the strategic objective of the Department of Economic Development to support sustainable economic development. The tremendous growth and potential in this sector is critical to a sustainable economy and prosperous community,” added Ibrahim. The first edition of the awards will be held in Dubai on 16th January 2017, in a glittering function graced by stalwarts and experts from the healthcare industry. The awards will be adjudged by a panel of eminent professionals from healthcare and media. According to the organisers, the award hopes to honour many more deserving achievers in the years to come, gradually evolving as an industry benchmark of professional excellence. Launched in 1999, the bi-monthly, bilingual Health magazine has been highlighting the sector’s growth and development as well as creating health awareness amongst consumers through 20,000 copies distributed in public places and to targeted households, and a readership of close to 80,000. It is BPA-audited and has significant print, online and social media readership. The magazine stands out with its unparalleled coverage of topics such as health, lifestyle, wellness, fitness, beauty, family, parenting, diet, nutrition, luxury and fashion.